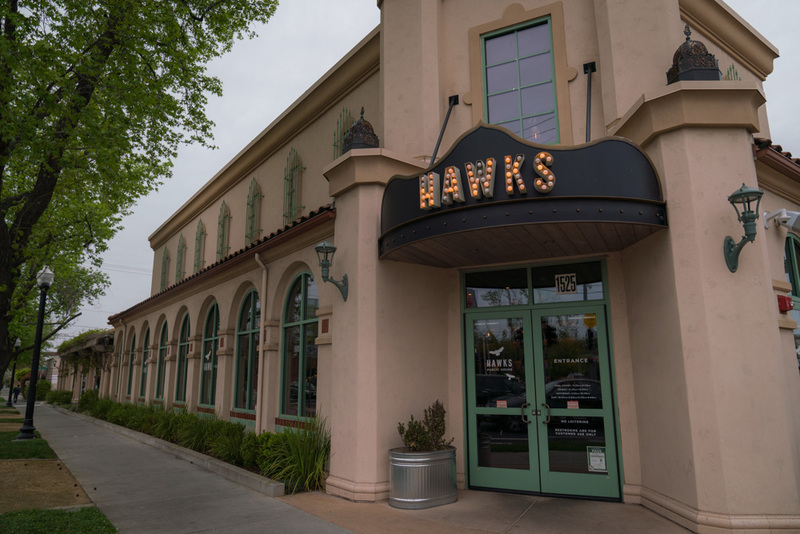 "Hawks Provisions and Public House here in East Sac is delicious. We've got a great food scene happening here and growing." "For Farm to Fork recommendations, obviously you've got places like Hawk's Provisions, Mulvaney's B&L and The Kitchen." "We have so many great Farm to Fork restaurants, like Empress, Hawks Provisions, Canon, The Waterboy, Mulvaney's B&L. There are just so many coming up. Sacramento is in a food renaissance with all the new developments, all the new restaurants, and all the new food; everything is just getting better!" "East Sac has always been thought of as an affluent community. Until very recently the cuisine has kind of been at stake over here and now there's been this resurgence of people coming in who either understand food a bit better or a younger demographic moving in, guys like Billy at Kru, Clay and I at Canon and the guys at Hawks."